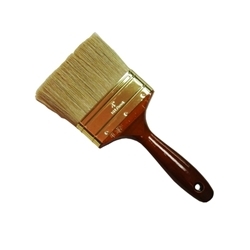 I ordered several sizes of these brushes and used them to refinish my log cabin with the Lifeline Ultra-7 and Advance. They were easy to clean up with just soap and water. Very nice brushes! Will use them again on a few other small projects. Thanks!